Apple releases new iPhone. Right. Now everyone, yawn with me. Apple’s just released their newest iPhone offering and hey! It’s nothing special! It looks the same, has the same specs and nothing groundbreaking. Oh right, there’s now a lower cost iPhone 5C aimed for the China market.. That’s it! C for China! How original! Awwww, there’s so many colours! No more having to decide between only black and white. Now I can haz pink, yellow, blue and green! But why does these colours look so familiar?? Oh right! Because Nokia Lumia came out with colourful phones a million years ago! And to be honest, the UI is much better too. Where’s the innovation in Apple’s products now? Where’s the anticipation and the excitement!? Ooo. 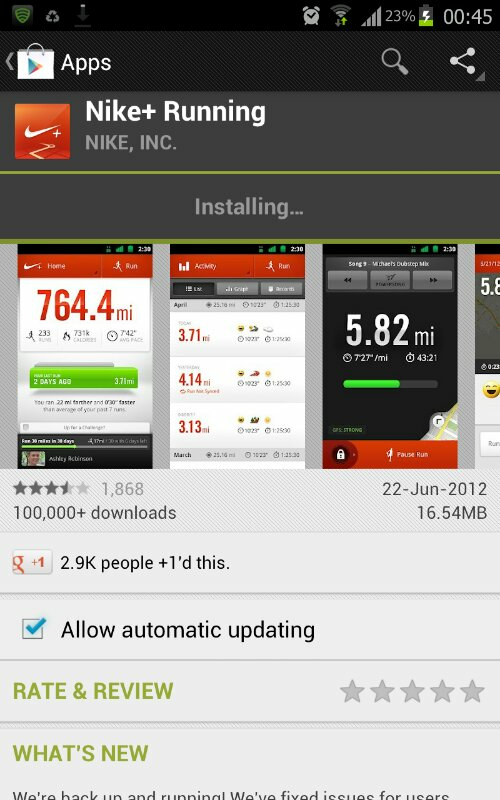 Finally we get the Nike running app for Android. And it’s the GPS version and free!